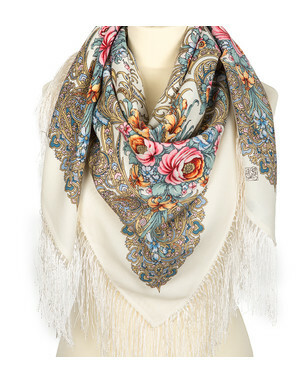 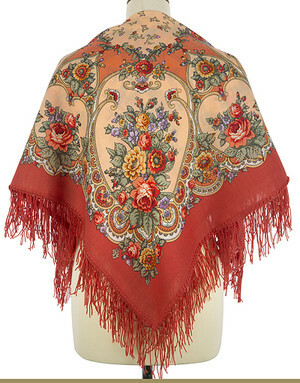 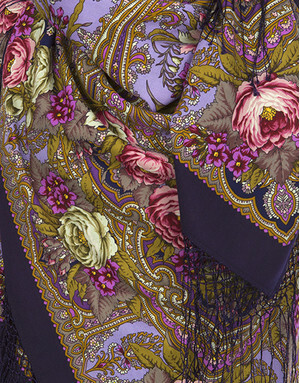 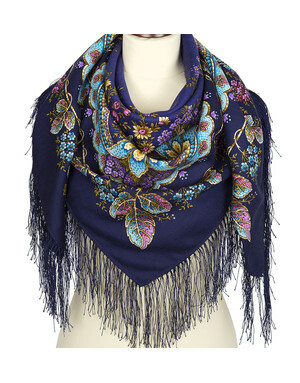 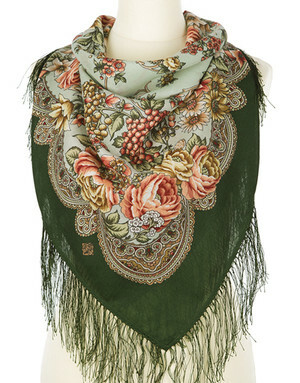 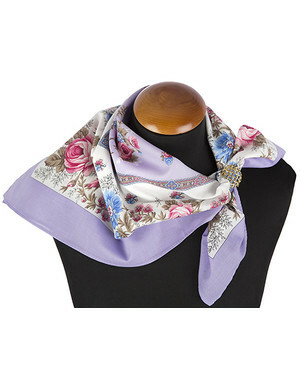 Russian shawls known for its old traditions and finest elegance all over the world. 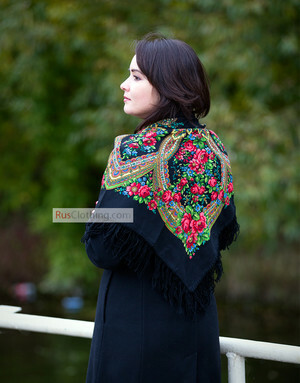 Russian shawl designs are derived from local colour of enormous Russia. 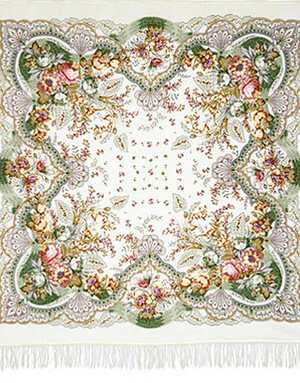 Some shawl patterns are inspired by modern Russian design concepts. 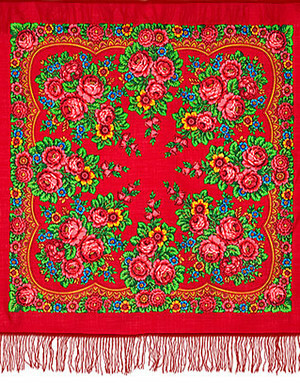 The Pavlovo Posad shawls are made of 100% natural, high quality wool, designed by craft painters and produced at the well-known manufactory of Pavlovsky Posad, a small town just outside of Moscow. 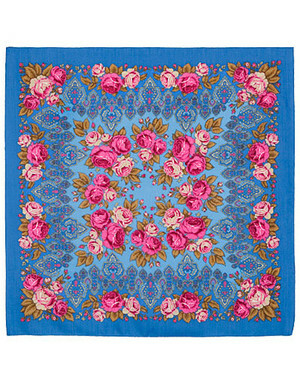 The shawls manufactory has been there since 1812 and produces an extremely wide range of gorgeous wool shawls and scarves, favoured by millions of women. 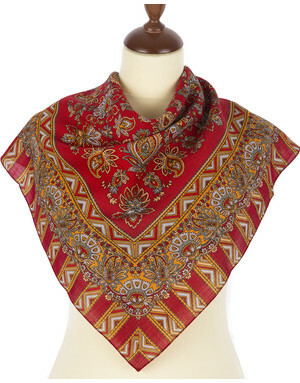 Traditionally, women use Russian shawls as headwear or put them over their shoulders or around the waist. 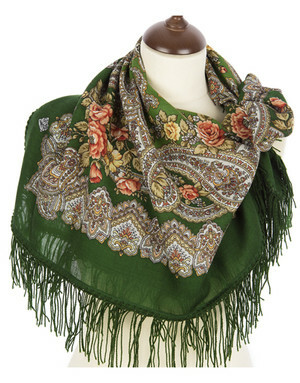 Another rarity among Russian shawls is Orenburg downy pashmina. 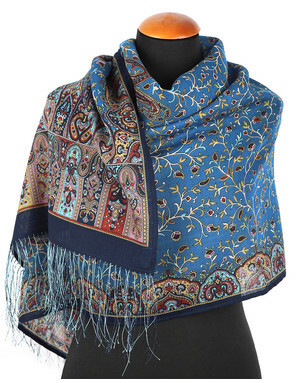 Orenburg yarn is one of the thinnest in the world, the down hair of Orenburg goats is only 14-18 micrometers. 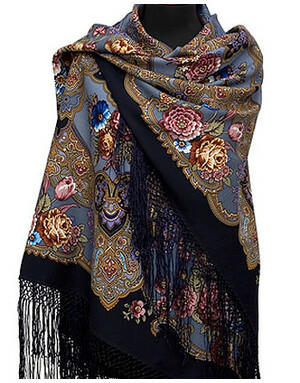 Thus, Orenburg downy shawls are so gentle, fine and soft. 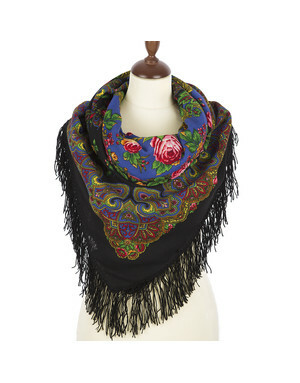 Elegance, finesse, exclusivity, beauty - this is all about Russian Orenburg shawls. 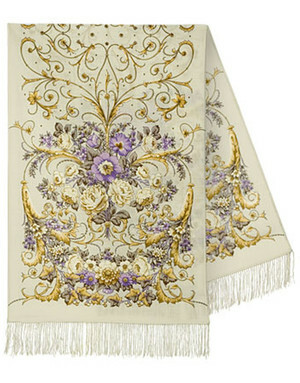 It may decorate any evening dress, it is a nice addition to business style costume, it is a nice decor of homewear.